On reaching set technological programming benchmarks, Gatfol received final funding installments in its initial seed fund round with current investors. Gatfol will utilise the funds to set full EU development- and marketing functionality with Malta as base and operational satellites in New Zealand for Asia-Pacific reach and through government funded programs in South Africa for African continent expansion. Gatfol founder Carl Greyling explained that development of its cloud-based application took twice as long as envisaged. The complexity of bringing product delivery speeds down to microseconds from the current milliseconds – especially for processing input exceeding gigabytes per second – proved more challenging than expected. Carl re-iterated that “…the team wants to thank our set of investors for their extreme patience and endless advice and guidance through this extended final stretch of the development path….”. Gatfol is proud to announce finalising of its European expansion through Malta as development base: “…The massive benefits that European resource proximity bring to us – especially given the wide application range of our base technology and limited team size – contributed hugely to successful closing of our investor round as we could present a lean but realistic operational budget to funders – especially through our extremely discounted cloud subscription…” Carl said. Gatfol is the culmination of 12 years of work originating in the United Kingdom in 2001. Virtual auditing agents were developed using an intelligent natural language accounting application with neuro-physiological programmatic bases to penetrate, roam in- and report on patterns in financial data. This led to an Innovation in Software award from the European Union in 2006 and formed the basis of the Gatfol algorithms and technology currently in development. Gatfol’s immediate aims are to improve search using semantic intelligence (meaning in data), both on the Web and in proprietary databases. Gatfol technology was provisionally patented in the USA in April 2011 and received PCT protection in 144 countries worldwide. It is Gatfol’s vision to eventually enable humans to talk to data through all relevant interfaces and on all possible devices. Those interested in learning more about Gatfol technology can visit Gatfol Blog http://www.gatfol.com/blog. For more information, contact Carl on Skype: carl_greyling. This entry was posted in Press Releases and tagged multiword keyword sets, search optimization, search query input on November 21, 2013 by Gatfol Team. Gatfol serves base technology to provide digital devices with the ability to process human natural language efficiently. The goal of truly semantic search has not yet fully been realized. The main problem is the enormity of ambiguous word permutations of semantic equivalence in even the simplest of phrases, which up to now has processing-wise required huge structured lexicons and ontologies as guides. Gatfol is developing its patented technology commercially to massively improve all keyword-based search in the millions of in-house and public online databases worldwide. A first fully integrated prototype has now been installed on a clustered network of twenty seven desktop computers in Centurion South Africa. Founder and CEO Carl Greyling firmly believes that Gatfol technology is crucially needed by many digital processors worldwide. Without a Gatfol-type solution, further development in many large digital industries is difficult. These include: Online retail (Amazon, Staples, Apple, Walmart), online classified advertising (Craigslist, Junk Mail), online targeted advertising (Google, Facebook, Twitter, Yahoo), augmented reality (Google Glass), national security in-stream data scanning (FBI, CIA, most governments worldwide), abuse language filtering in especially child friendly online environments (Habbo Hotel, Woozworld), image- and video auto-tagging for security monitoring (most police forces worldwide), human-to-machine natural language interfaces (all web search engines like Google, Yahoo!, Bing, Ask) and web text simplification for disadvantaged web users. The Gatfol operational technology comprises multiple redundant local machine-based master and slave software nodes to process input in parallel to ensure extremely high throughput speeds at very large input volumes, regardless of machine- and CPU hardware configurations. This applies to the full production cycle from web RSS-based sourcing to microsecond delivery of output to calling applications. Processing speed increases are proportional to the volume of nodes applied. Unlike almost all competing technology available today, Gatfol provides robust parallel processing power from even simple desktops or laptops. With all data streams staying local to the processing machine, application of Gatfol technology in especially security-based environments (ie battlefield deployments) is not compromised by networking- and online processing- or data transfer exposure. With a simulated Hadoop multiple master-and-slave node architecture built around simple but robust Windows™ executable files and with multiple fall back redundancies around both master and slave functions, as well as all nodes individually carrying full word relationship databases, reliability of throughput is ensured – especially critical in large volume streaming functionality. The Gatfol standalone footprint can be easily incorporated into wider distributed processing architecture including full Hadoop-, as well as cloud based environments – with corresponding scalability in throughput performance. RSS sourcing is widely scalable. Throughput has already been successfully tested at nine terabyte of web text per month. Current best input-output performance of a 50-100 level deep Gatfol semantic crystallization stack on a standalone desktop (Intel Dual 2.93 GHZ 3.21GB RAM Windows XP) for text throughput is 3.6mb/hour for a single Gatfol cluster instance, 11.78mb/hour for a 10-cluster instance and 98mb/hour for a 100-cluster instance. Gatfol is the culmination of 12 years of work originating in the UK. Virtual auditing agents were developed using an intelligent natural language accounting system with neuro-physiological programmatic bases to penetrate, roam in- and report on patterns in financial data. This led to an EMDA Innovation in Software award from the European Union in 2006 and formed the basis of the Gatfol algorithms and technology currently in development. Gatfol’s immediate aims are to improve search using semantic intelligence (meaning in data), both on the Web and in proprietary databases. Gatfol technology was provisionally patented in the USA in April 2011 and has PCT protection in 144 countries worldwide. 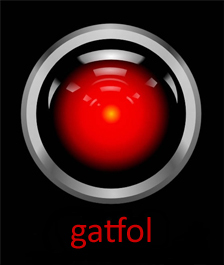 It is Gatfol’s vision to eventually enable humans to talk to data on all relevant interface devices. Those interested in learning more about Gatfol technology can visit Gatfol Blog. For more information, contact Carl Greyling at Gatfol on +27 82 590 2993. This entry was posted in Press Releases and tagged data, HAL, intelligence, natural language, semantic search on April 29, 2013 by Gatfol Team. The Gatfol natural language semantic engine — algorithms for changing keyword input into man-to-machine questioning communication — has been in stealth development for over 9 years. With the current announced Beta release, Gatfol technology is now on the verge of providing the promised quantum leap data-access jump that is vital to keep major industries worldwide confidently surfing the information tsunami. Within two months after announcement of patent filing and initial seed funding, founder and current CEO of Gatfol, Carl Greyling, releases news of the successful outcome of a second round of funding. 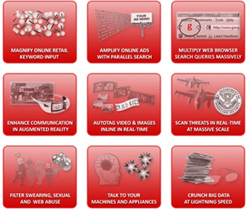 As detailed in the Gatfol blog, over twenty industries and Internet fields are now being covered by Gatfol technology, including: Banking, Content Filtering, Data Leakage Prevention (DLP), Image/Video Analysis, Neuro Tech Control, Online Advertising, Online Retail, Robotics, Security, Social Networking and Web Intelligence. Gatfol attracted strong interest from investors worldwide in the recent funding round, including a funding group in the USA as well as local South African investors. Conceptual thought around the Gatfol algorithms was initiated roughly 12 years ago in the UK. The Gatfol technology currently in development received an EMDA Innovation in Software award from the European Union in 2006. While it is Gatfol’s big vision to eventually enable humans to converse with all machines containing or routing data, a more immediate goal encompasses data search, as search is effectively talking to information. Current efforts are concentrated on applying Gatfol’s technology to improve search using semantic intelligence (meaning in data), both on the Web and in proprietary databases. Gatfol technology was provisionally patented in the USA in April 2011 and is in process of being PCT protected in 144 countries worldwide. Those interested in learning more about Gatfol technology can visit http://gatfol.com/blog. This entry was posted in Press Releases and tagged closed beta, Funding, Gatfol Industries, natural language semantic engine on April 7, 2012 by Gatfol Team.